10. No one who has welcomed a stranger from another land into his home can listen to a news story from the other side of the globe in quite the same way again. 9. International exchanges, like this one, have been singled out by Colin Powell, an outstanding military leader and Secretary of State of the most powerful nation on earth, as the most effective way to work toward international peace. 8. Rotary Youth Exchange brings more people together in a community over a longer period of time than perhaps any other program Rotary does on a regular basis. 7. Rotary Youth Exchange is a continuing education program that is founded on the rock of American culture: The American Family. 6. Rotary Youth Exchange is supported by a network of 1.2 million Rotarians around the world. Every person involved is a volunteer. 5. More than 7,000 students participate in Rotary Youth Exchange every year RYE is one of the largest, safest, and oldest youth exchange programs. 4. Our district youth exchange program takes full advantage of the expertise, the incorporation, the accreditation of Rotary International and the multi-district exchange program, ESSEX. 3. The formula for success in your club is simple, simple, simple: Identify a young person from your town, prepare him/her through the district orientation program to have a successful year as a young ambassador for a full school year abroad, identify a few caring families willing to open their homes and hearts to a new family member, watch the magic begin. 2. 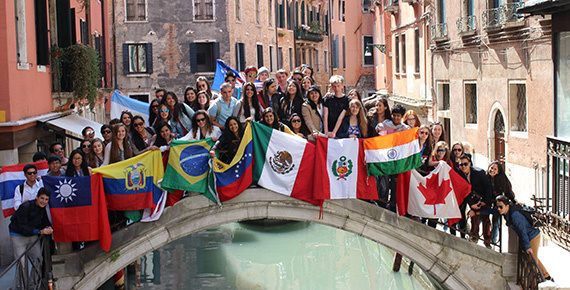 More than 70% of all Rotary Districts take part in the Rotary Youth Exchange program. 1. The new team of Rotary Youth Exchange officers are young at heart and passionate about what they do. For more information on the District RYE program, visit our website or contact RYE District Chair Betsy Manzelli.